Team Hatoful got the pacifist ending, with one twist we were absolutely not ready for last night. 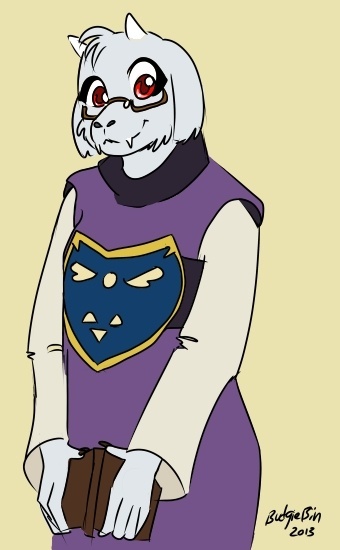 I stayed up late just so I could finish this and go to bed knowing that even though we had to go our separate ways, Toriel was still proud of me and knew I was strong enough to take on anything waiting for me in the labyrinth. Toriel has become important to me not only because I’ve developed a voice for her, but because my mother passed on when I was at an early age. It’s… very comforting for me to be able to experience a trusting mother figure like her, as overbearing as she has been designed to be. Someone cares about me, and sometimes, that’s all that matters.